Tiger Zinda Hai, Salman Khan, Katrina Kaif, box office – these are some blockbuster terms you’ll be hearing a lot in next few days. Sundays usually are very good but for Tiger Zinda Hai its 1st Sunday has been historic. Almost touching the 70 crore mark in 2 days, everyone predicted it to breach the 100 crore mark in 3 days with ease. After some mind blowing reviews and one of the best word of mouth buzz, this day was just a matter of time. The movie, as per early trends, has collected in the range of 44-46 crores at shattering major records. Salman Khan’s Sultan had collected 105.34 crores in its first 3 days which will easily be crossed by Tiger Zinda Hai. It would be miraculous to see if it could cross the 5 day weekend of Ek Tha Tiger. Back in 2012, the prequel of this movie collected 116.05 in its 5 day long weekend. 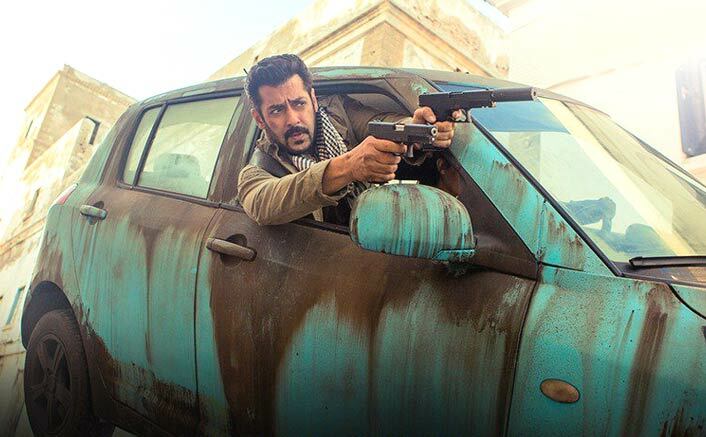 Tiger Zinda Hai needs a Sunday worth over 46 crores to achieve this. Yes, we know this is a lot to ask but you can never be sure with a Salman Khan film. Salman Khan’s Prem Ratan Dhan Payo too had a 4 day weekend but its first day itself was a huge 40 crore+. The real test for the film will start post the Christmas holiday because all this could also be a reason of dull phase Bollywood has been facing since last few months (Golmaal Again is an exception). It would be really interesting to see, where the film is headed towards its lifetime after such explosive weekend. Will it be easily able to cross the 300 crore mark to surpass Sultan? Or Bajrangi Bhaijaan will still remain the highest grossing movie of Salman Khan? We’ve to wait for at least a month for all our answers. The post Tiger Zinda Hai Day 3 Collections Early Trends: HISTORIC & Earth Shattering Sunday appeared first on Koimoi.